Summer has gone winter is welcomed. Cold breeze is blowing all around the sides. But the rush of life is going on. All the matters of life are going side by side. Parties are on. School and colleges are open and everyone is busy in his own life. And fashion industry is also busy in representing the winter’s collections whether it is by our fashion designers, hairstylists or by makeup artist. So the hair styles which are carried by our models or even by a common man will be discussed in this article. This article contains the content on latest winter hairstyles 2014. Adopting this hairstyle gives a strict look.But it looks quite delicate and a bright solid color of your hair make you look more interesting. All those people who love to be looked like a Tomboy, then this bold hairstyle is a great option. The particular advantage of this hairstyle is that it looks great on those who have facial expressions, as boys often with short haircut. 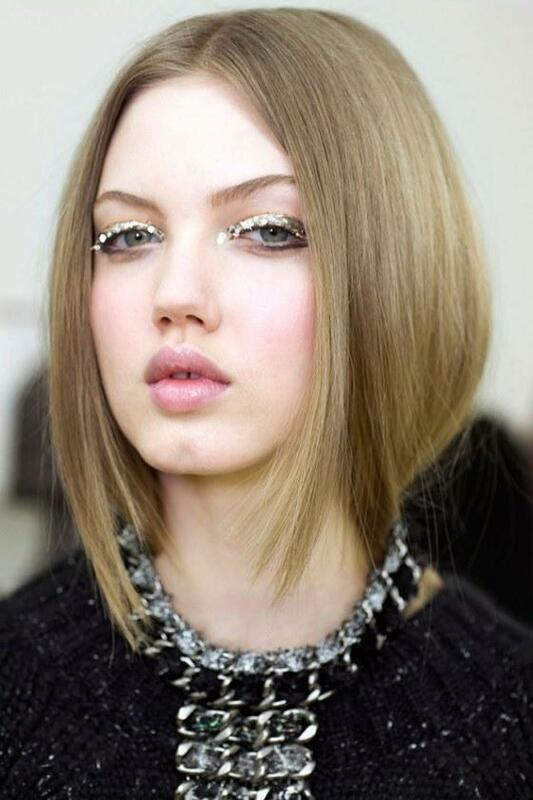 You can give a shape of bob with elongation and soft flowing layers if you have medium hair. In this hairstyle the front hair are slightly elongated. It is nearly similar to bob haircut. Most of the women like to adopt the asymmetry hairstyle, the hair of one side are lengthened and the hair of other side are thrown on the back of the ear and the relatively less lengthy hair on the other side direction. But this hairstyle is suitable for those who have natural silky and straight hair.